80 people can be seated for a dinner or 100 maximum for a standing event. Approximately 1400 square feet. 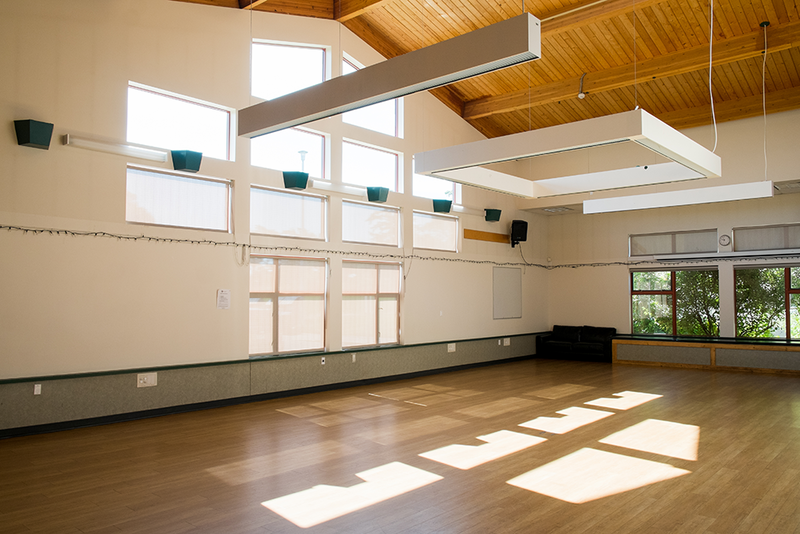 This is an open, multi-purpose room with large windows. 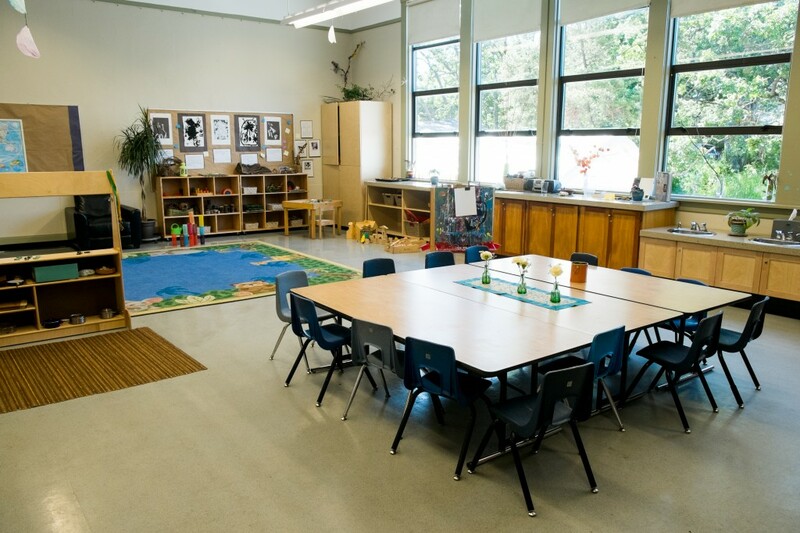 Foyer and washrooms offer wheelchair accessibility and baby change station. Located adjacent to the Sir James Douglas School, the main door access is from 1335 Thurlow Road. Available equipment: 80 Chairs, 15 tables, sound system & microphones, (all included in rental), Epson Digital Projector ($50 / rental). Clients are responsible for bringing their own coffee and tea as well as cups, dishes and cutlery. If you plan to rent those items, we recommend Pedersen’s Event Rentals. 12 person seating around a large, stainless steel counter. Approximately 900 sq. ft. There are tables and chairs, a small living room corner and a sink. Large windows face West. This is a bright comfortable room. 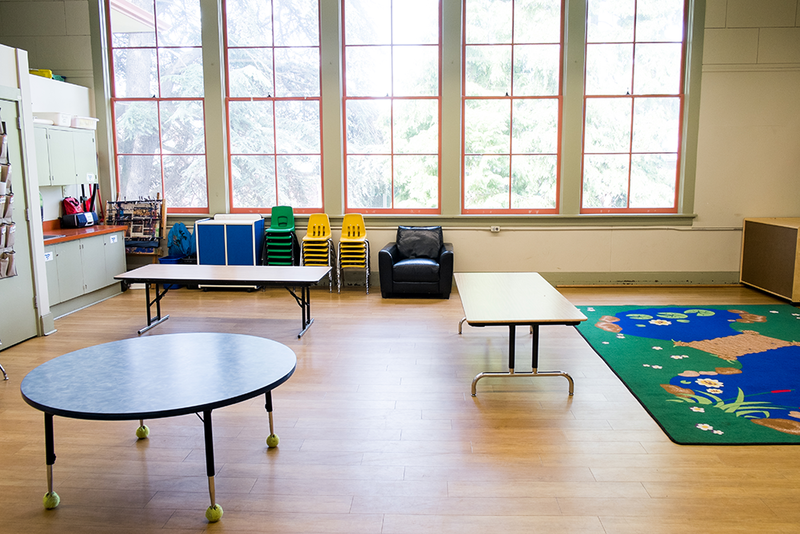 The large room that we use for Out of School Care faces South making it a very sunny and warm meeting place. There are tables and chairs (adult size), a small living room corner and a sink. 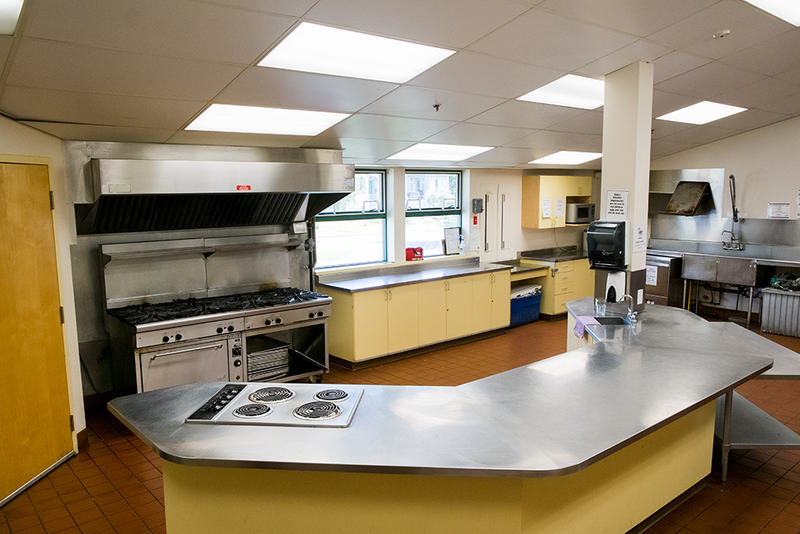 This self-contained space is completely accessible including washroom facilities. Windows let light in from two sides overlooking Porter Park. Tables, chairs, sink, microwave.